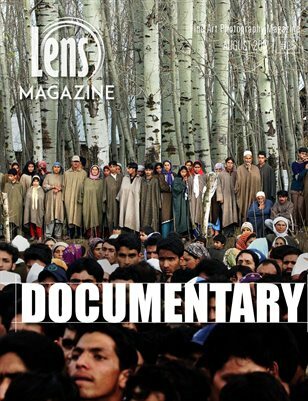 ★ Documentary Photography ★ The International Lens Magazine Issue #35 - PUBLISHED! We are very honored to present this month's issue featuring extraordinary articles and interviews with Top Documentary Photographers including AMI VITALE, Nikons' Ambassador and a contract photographer with National Geographic magazine. GIOVANNI CAPRIOTTI, 2017 World Press Photo's 1st Prize, MUSTAFAH ABDULAZIZ featuring his special project -Water - A long-term photographic documentation of a resource in crisis, beautiful project which received support from the United Nations, WaterAid, WWF, VSCO and Google. It has been reviewed by Phaidon, Monopol and published in Der Spiegel, The New Yorker, TIMES and The Guardian. We are very proud of this special issue and we wish you most of enjoyment!